There is one point of time in life when we ignore a whole set of new gadgets thinking it won’t be of any use to us! 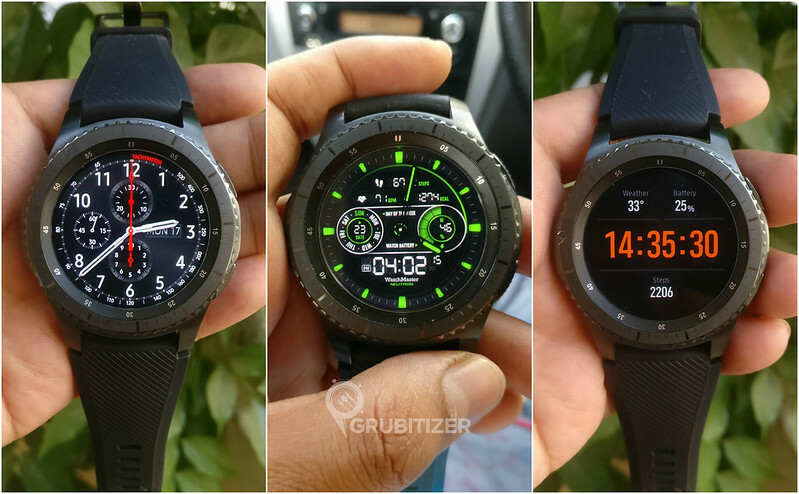 Well, I was in this phase a year back when fancy wearables started coming out, some had a display and interestingly some did not! But it was quite often flaunted by a lot of people around me which went unnoticed until a few months back. 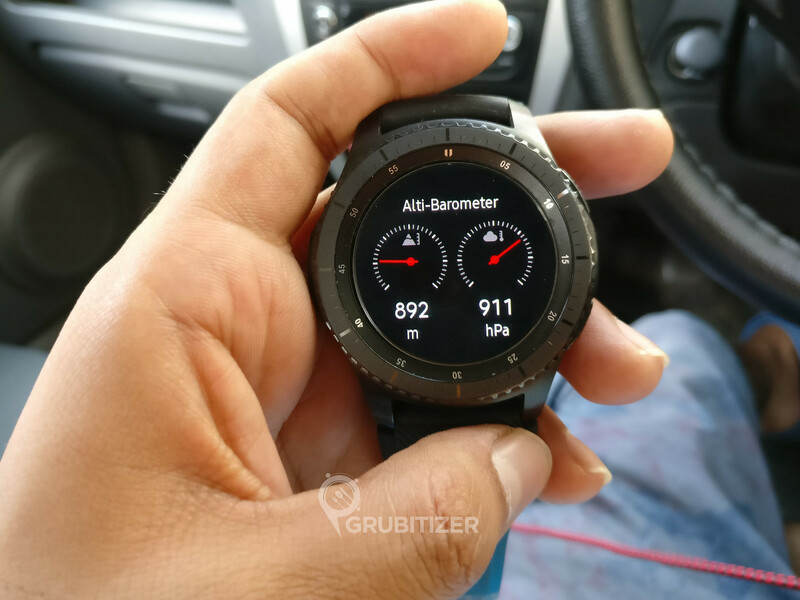 This post is going to talk about my journey from using a Mi Band 2 to the full-fledged smartwatch Samsung Gear S3 Frontier! I took the plunge and got myself the MI Band 2, a humble sleek looking Band which had a simple OLED screen. The primary purpose was to just get a count of steps, occasionally checking heartbeat rate and mainly to track sleep. Other nifty features that glued me to it was that you can get notifications for certain apps, I had set this to my blog’s Gmail account, just to make sure I don’t miss out on some important invites 😀 Later it got a new update and call notification got added, now you could see the name of the contact if it is stored on your phone, it made life easier. 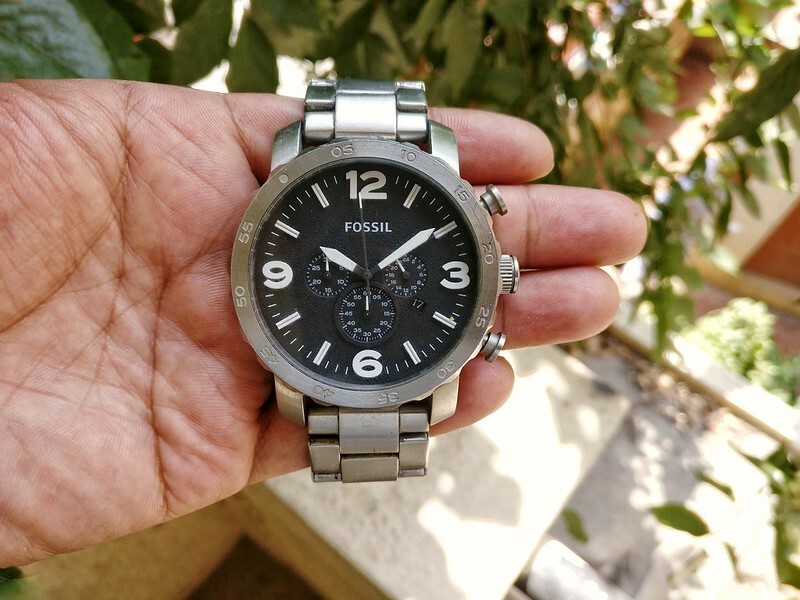 By now I was so happy that I ditched my Fossil Nate Chronograph Stainless Steel, which all of a sudden looked like a watch from the Stone Age. 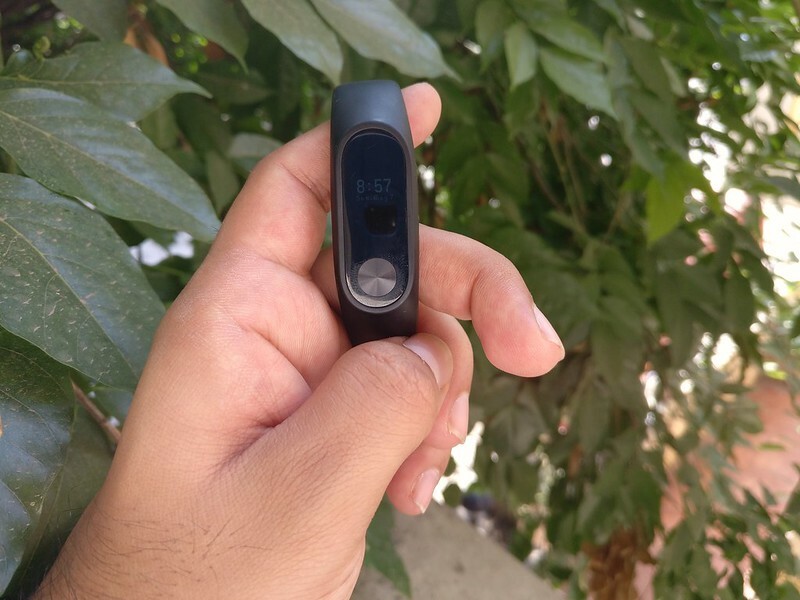 Days passed and the Mi Band 2 was doing a good job, meanwhile, my interest towards wearable technology increased and I started following various forums to keep myself updated with all the new products coming out. 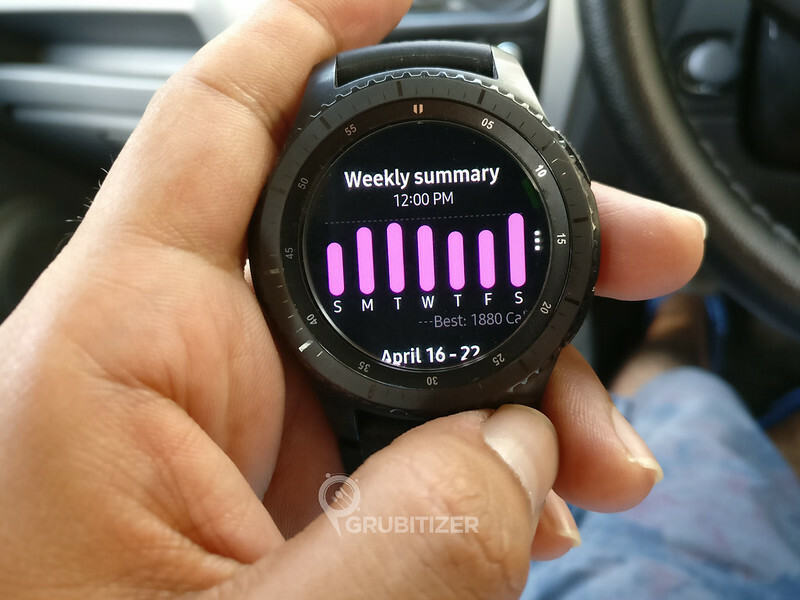 My requirements were clear – I was not keen on getting a full-fledged health tracker, I wanted something which takes care of the notification part in the best possible manner and at the same time provide basic levels of fitness tracking. 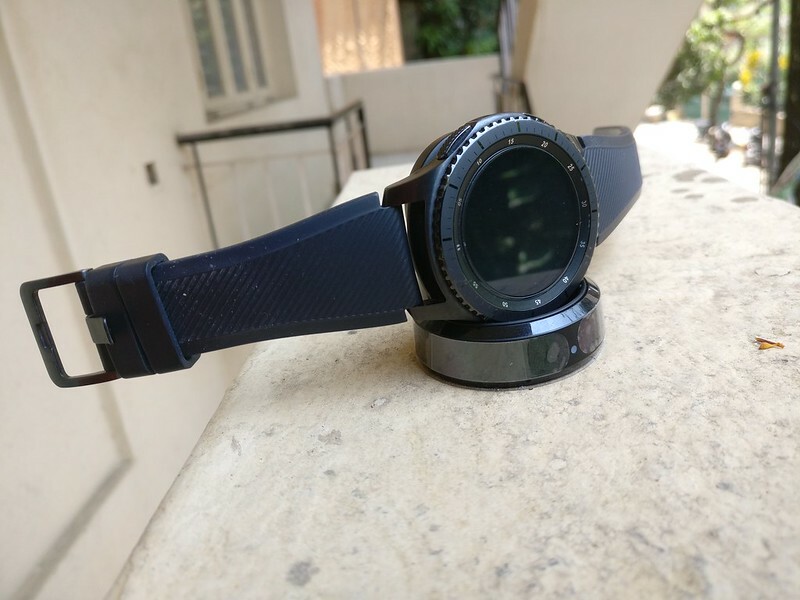 I dismissed the option of buying the Garmin Vivoactive HR as it is more inclined towards Fitness and the display did not seem that attractive, yes LOOKS does matter to me!! 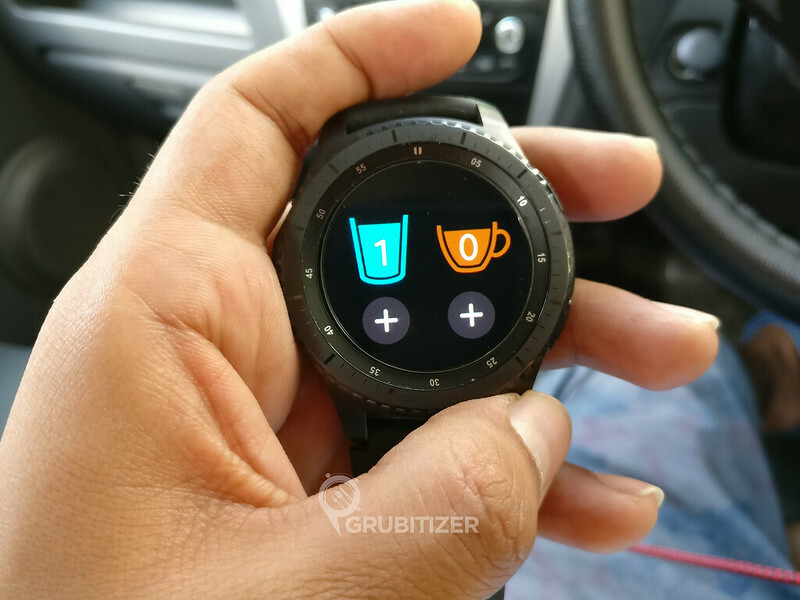 I really liked the Fitbit Blaze but then it was quite old now, the same holds for Moto 360 (2nd Gen) as well… It is surprising that at this time of cut-throat competition we come across famous brands like these that are taking over a year to launch new updated products with no announcements or whatsoever keeping buyers in the dark, you really expect potential customers to wait?! 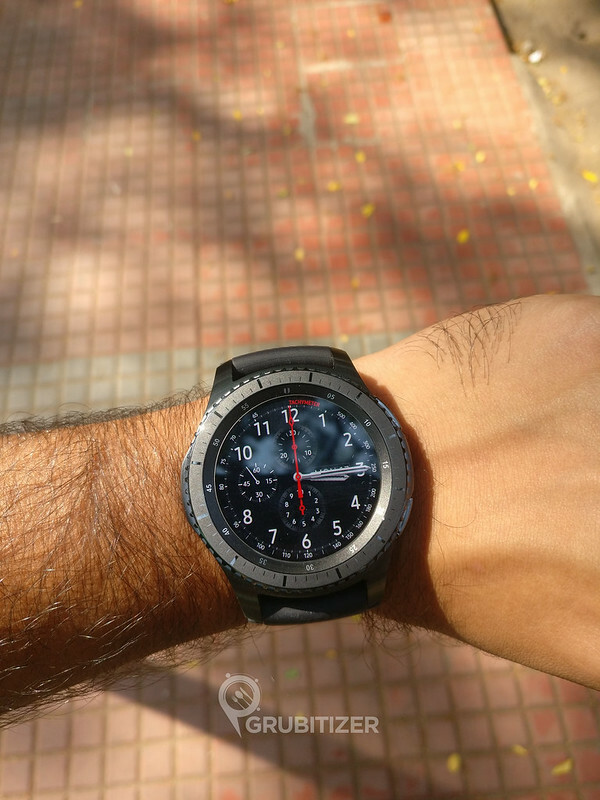 The Looks, I admit I loved the way Moto 360 2nd Gen looked but this one is a stunner! Box contains the usual wireless charging dock, charging cable that is rated at 0.7 A and has the standard USB. I read on few forums that it is advisable to use only this cable as there are chances that if you use something else then it might end up damaging the watch. There is a small size Strap that will fit into the smallest of small hands! The watch takes in any standard 22 mm bands. 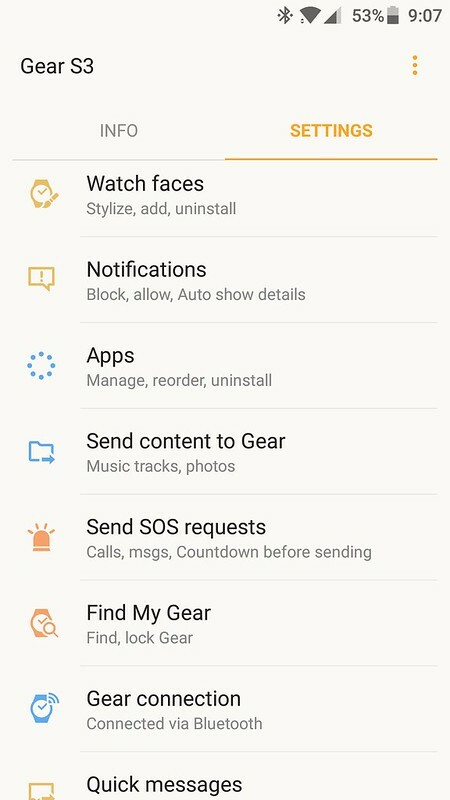 Gear S3 app on your smartphone works like a charm and doesn’t drain battery excessively. 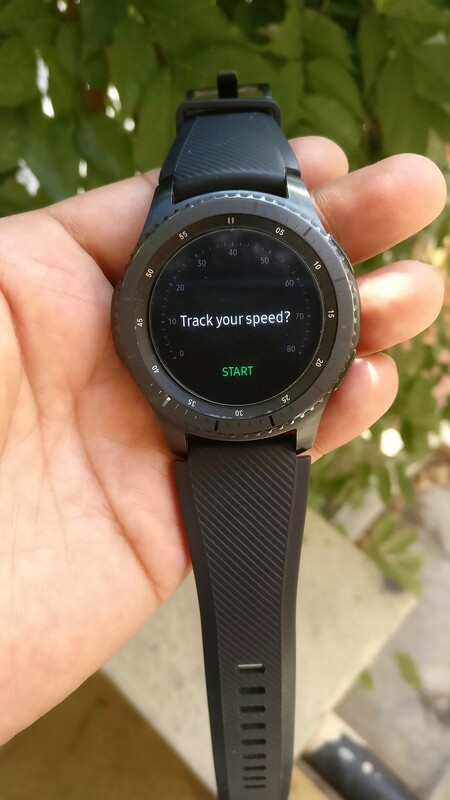 Notification setting, watch faces, find my gear and many other nifty features are embedded and synchronized with your Gear S3 effortlessly. 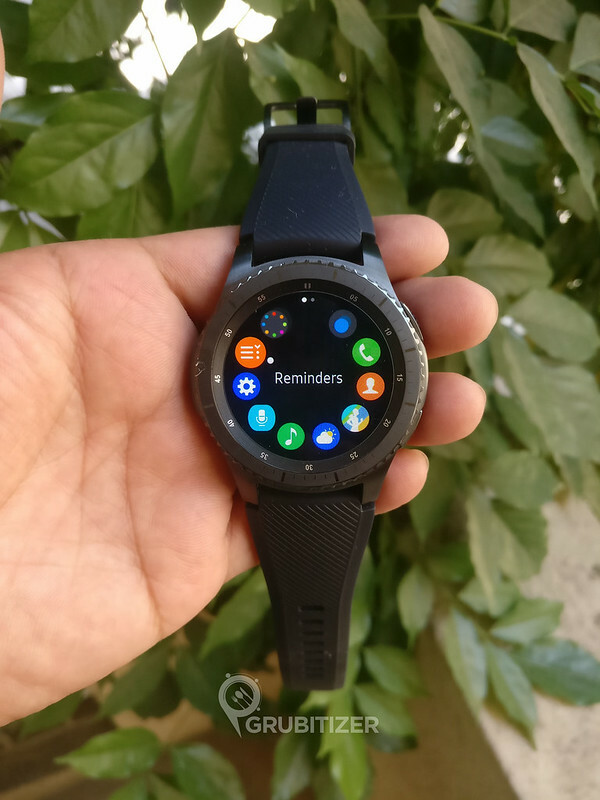 Well, all of this for INR 28,500 might sound a bit of an overkill but am sure the prices are going to drop eventually making this smartwatch even more desirable, or I would say affordable!! 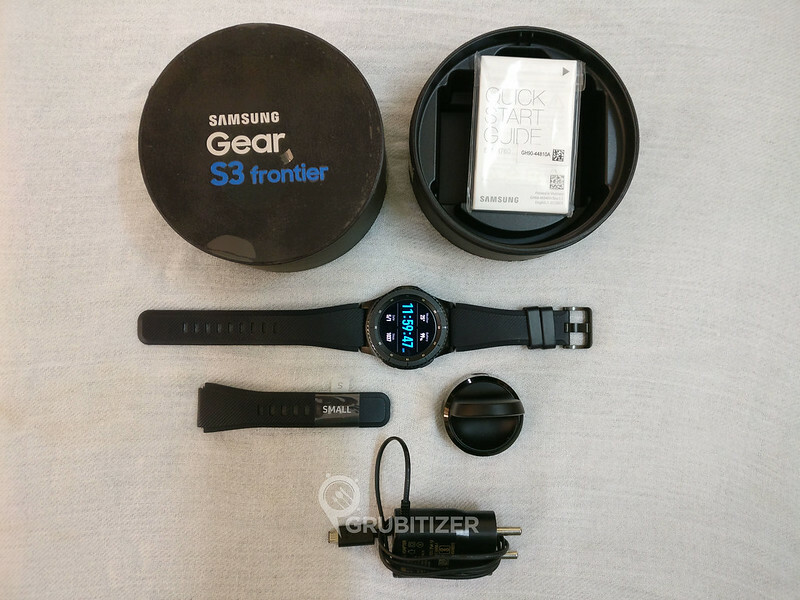 Check out Samsung’s official website to know more about the tech specs and latest developments revolving around Gear S3!